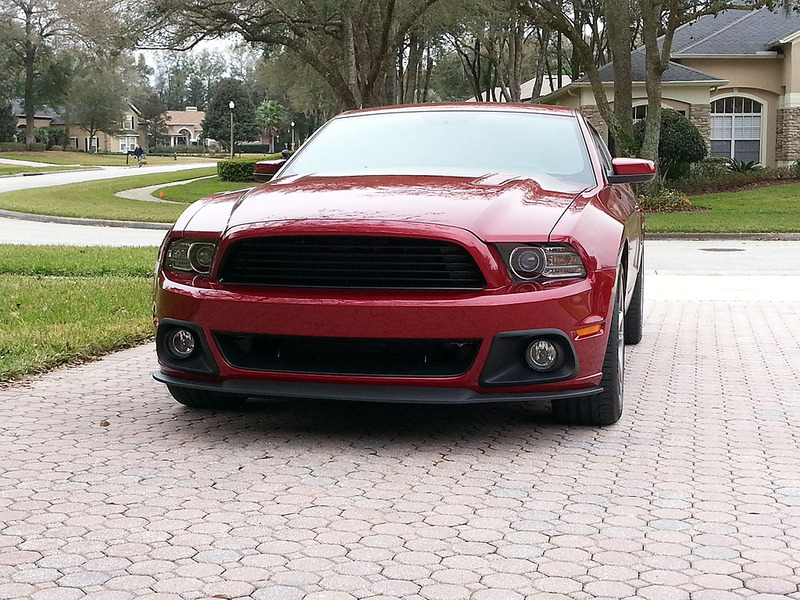 Finally got the Roush upper/lower grill installed, the full splitter set and the GT500 exhaust. All I need now is the rear spoiler! 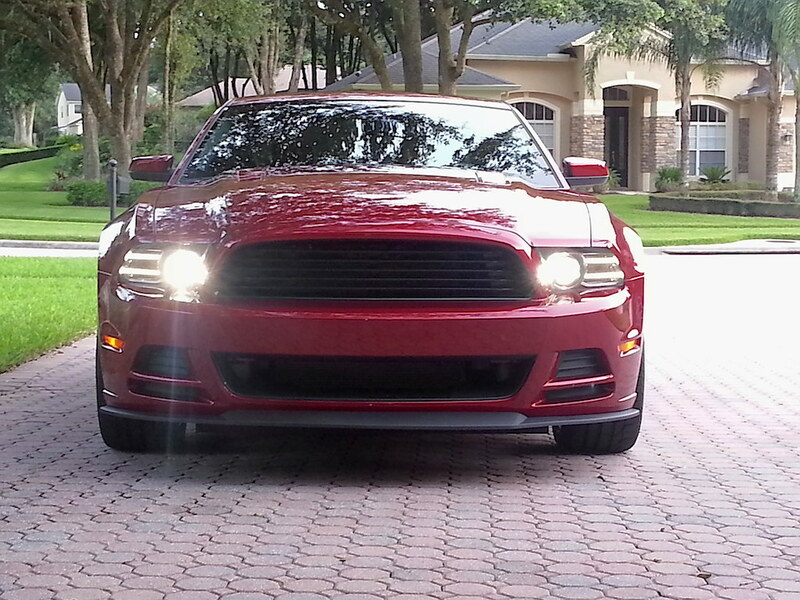 Car looks great, but don't think I could part with my fogs…one of my favorite features of the GT. Now lower that thing a couple inches and you're set. Nope. Probably not going to lower it. While I like the look of the lowered cars, this one seems fairly low already. I know the wheel arch gap doesn't look like it, but the car already has potential for scraping. Isn't there a billiet grill you can install that hides the fogs, but you can keep them? I've seen them. Our plan is to get a set of the Roush fogs someday. The factory grill fogs on the GT are blinding to oncoming drivers, so we didn't use them. The fact that Ford sells them for $347 each means I should be able to sell the upper grill and fogs to recoup some of our expense. My son hasn't decided if he wants to debadge the fenders yet. 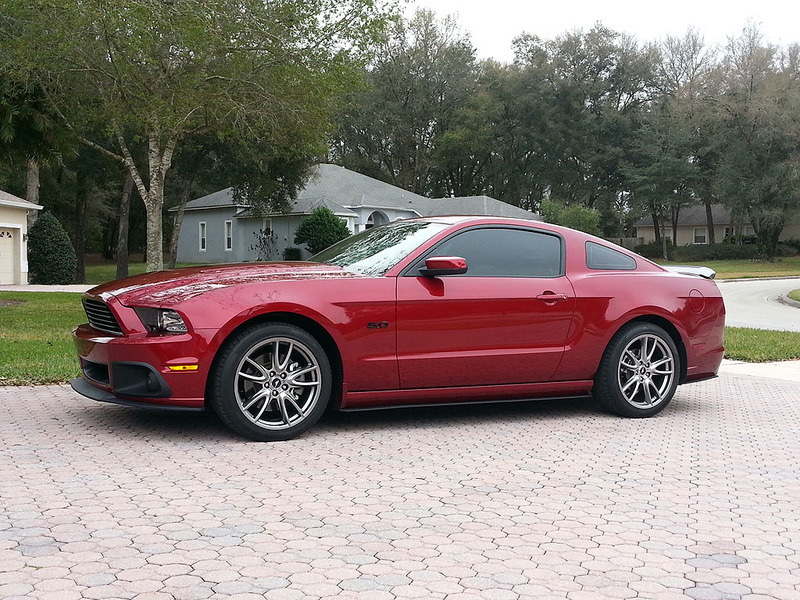 Thinking of removing the 5.0 badge. Rear spoiler and new speakers are next on the mod list. Looks great. Add the spoiler like you said and it will be perfect! I do agree it should be lowered, but that's your choice! I do feel like the wheel gap seems larger in pics than in person; these cars really don't need a huge drop, I only want to lower mine roughly an inch being a year round driver on crap roads. Only problem with lowering is it takes so many parts to do it right. Yeah there are billet grilles that will let me keep the fogs but you know I'm a sucker for the OEM fresh look. So far so good in not getting flashed by drivers when driving with the fogs on (they should point towards the ground and therefore shouldn't blind anyone), my only complaint is they are so blue they almost make the xenons look like projector halogens. Not that I'm complaining, I'd take the LED fogs over nasty yellow halogen fogs anyday, but they DO look so blue they almost look aftermarket - be nice if they were a bit on the whiter side of things. 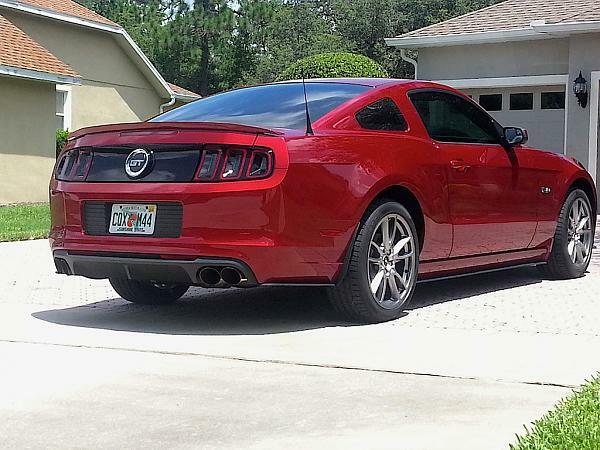 Keep the badges - showing off the 5.0 on the fender is half the fun and not having them makes the car look like a six - plus they are stud mounted, so you'd have to fill the holes and risk paint matching/blending, so I'd leave well enough alone. Maybe get black ones for a stealth look, but I like the chrome, personally. 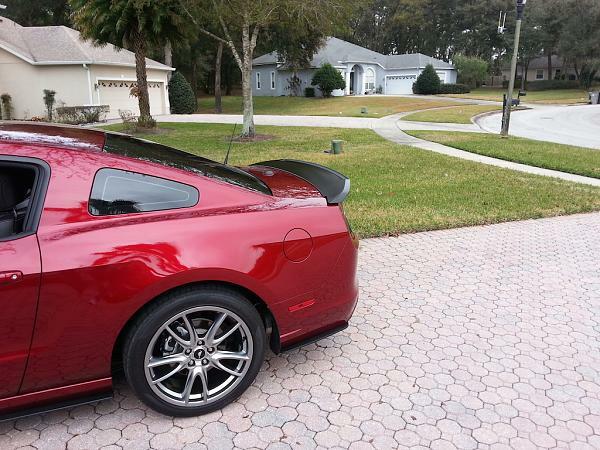 Whatever you do, keep plastidip out of your sons hands - car is too nice for that crap IMO. Last edited by puma1552; 8/7/14 at 01:07 PM. Are you sure they are stud mounted? 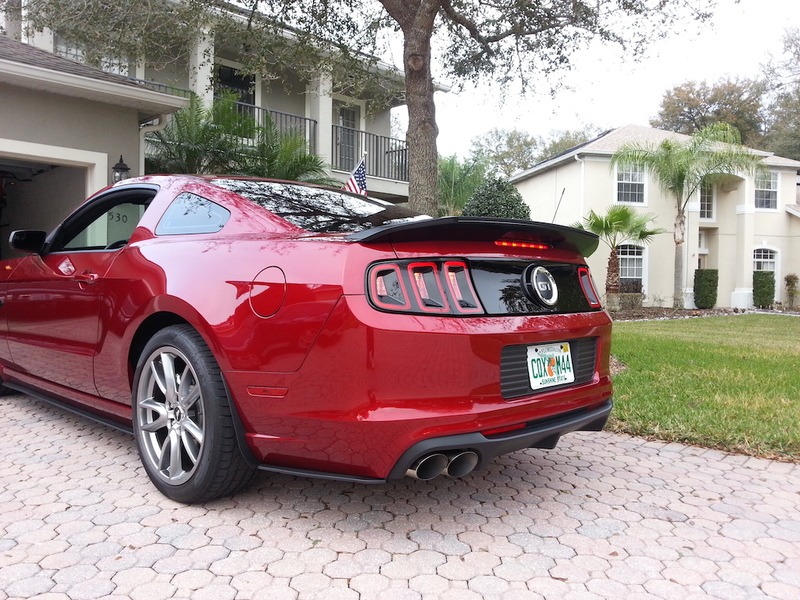 The Roush emblem gets installed in the place of the 5.0 since the Roush is built on the GT platform. 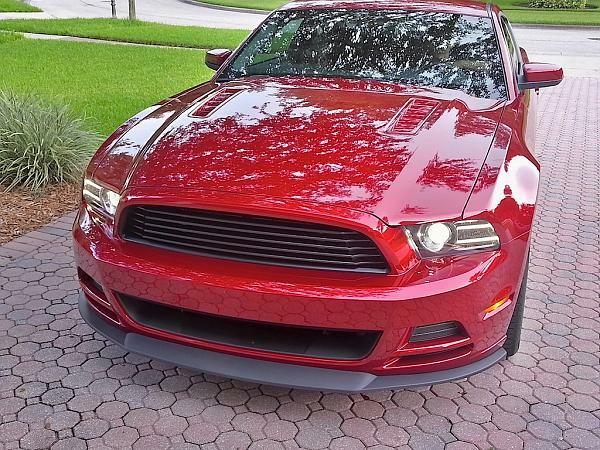 Are the Roush emblems stud mounted also? Can't say for the Roush but the 5.0 is indeed stud mounted, surprisingly enough. BTW puma, the plastidip idea has been brought up, but only for some interior pieces. My son doesn't like the chrome bezels around the instrument cluster or the AC vents. He mentioned that we should dip them to remove the reflectivity. He also doesn't like the fingerprint magnet of the door handles. I'm almost in agreement since the plastidip is reversible in case it looks bad. Nothing else will get it!!! I'm wanting to matte clear dip all the chrome bits...now to get them off all and do them all in a weekend! For the interior door handles, he could get base GT ones - they are plain black. And I may be mistaken but I don't think I am, but I think the Boss inner door handles are brushed/polished and not completely chrome so those might help too. After looking at the picture and comparing the size difference, the government has really required much larger cars!!! If you don't know what I'm talking about...newer cars are mandated to have 3" of clearance from the engine to the hood. This 3" is supposed to protect a person that gets hit by a car. The entire auto industry had to redesign around the couple instances of people getting hit at slower speeds! Our government is so stupid. That 3" for the hood clearance means taller fenders, which relates to taller door skins and smaller side windows, etc. Cars look great as always…yes, cars have gotten enormous. I remember looking at a Challenger after hours and parking my Camaro next to it, it wasn't even funny how tiny the Camaro was. 15" wheels vs 20" wheels, and the Challenger still had a huge fender gap. The roof was probably close to a foot higher on the Challenger. yes, cars have gotten enormous. I remember looking at a Challenger after hours and parking my Camaro next to it, it wasn't even funny how tiny the Camaro was. 15" wheels vs 20" wheels, and the Challenger still had a huge fender gap. The roof was probably close to a foot higher on the Challenger. Well, I added more exterior parts this week. 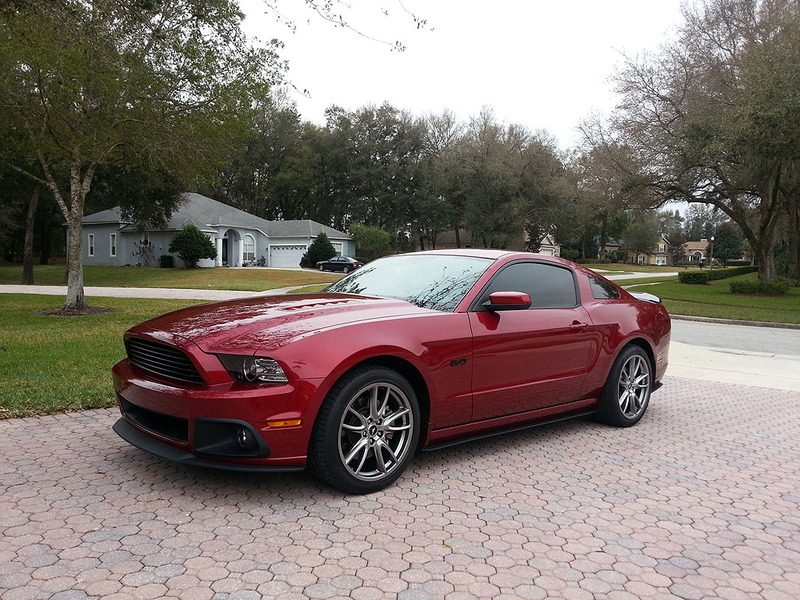 I added the GT500 rear spoiler in satin black yesterday and the Roush fog lights today. I will try to get pics of the fogs tomorrow. And here are the Roush fogs.